Leonel Azevedo, Composer, Lyricist - J. Cascata, Composer, Lyricist - Orlando Silva, MainArtist, AssociatedPerformer Auteursrecht : (P) 1936 BMG BRASIL LTDA. 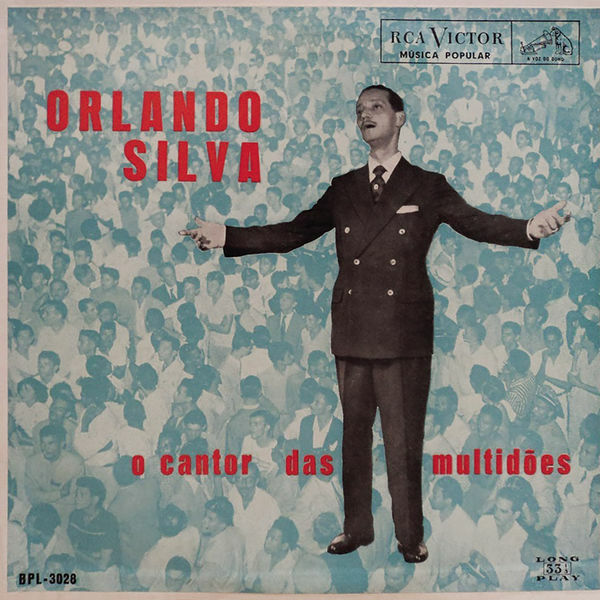 Bororó, Composer, Lyricist - Orlando Silva, MainArtist, AssociatedPerformer Auteursrecht : (P) 1940 BMG BRASIL LTDA. Mário Lago, Composer, Lyricist - Benedito Lacerda, Composer, Lyricist - Orlando Silva, MainArtist, AssociatedPerformer Auteursrecht : (P) 1939 BMG BRASIL LTDA. Indio, Composer, Lyricist - Orlando Silva, MainArtist, AssociatedPerformer Auteursrecht : (P) 1935 BMG BRASIL LTDA. Custódio Mesquita, Composer, Lyricist - Orlando Silva, MainArtist, AssociatedPerformer - Geisa Boscoli, Composer, Lyricist Auteursrecht : (P) 1940 BMG BRASIL LTDA. Pixinguinha, Composer, Lyricist - Orlando Silva, MainArtist, AssociatedPerformer Auteursrecht : (P) 1937 BMG BRASIL LTDA.